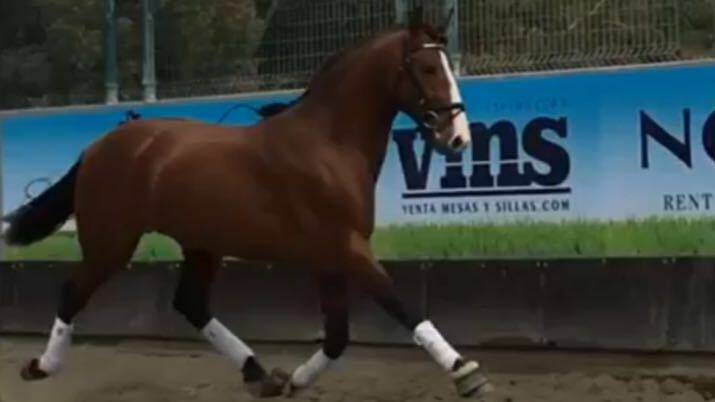 This is a stunning horse! 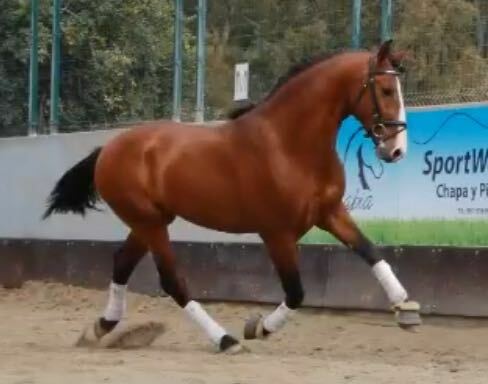 He is sporty, good size, not too wide and not too skinny! Nice long neck and nice benind. 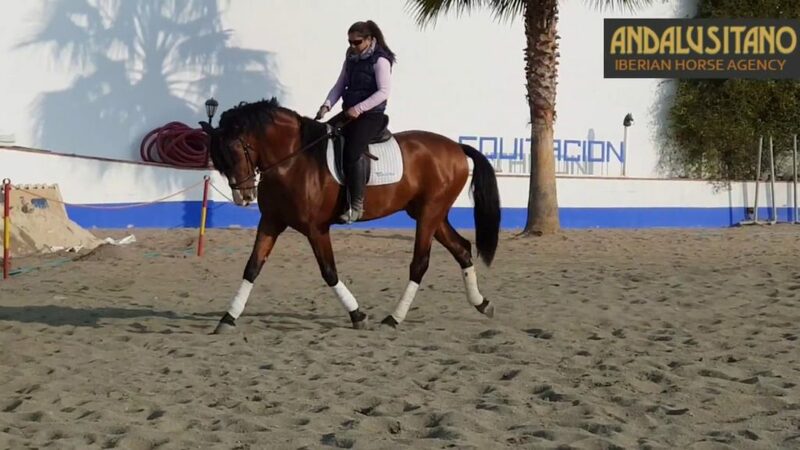 He is a horse that has been gently schooled by his female rider and sometimes is also ridden by the student of the rider. 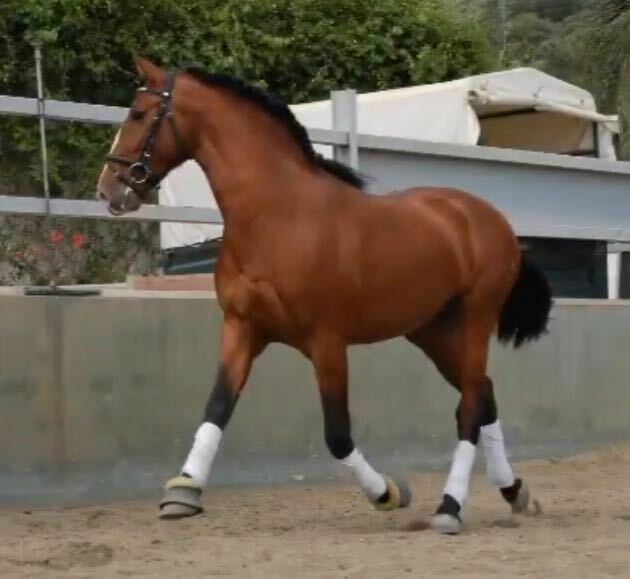 He is very sweet and social and is used to living in a stable with lots of mares, stallions and geldings. 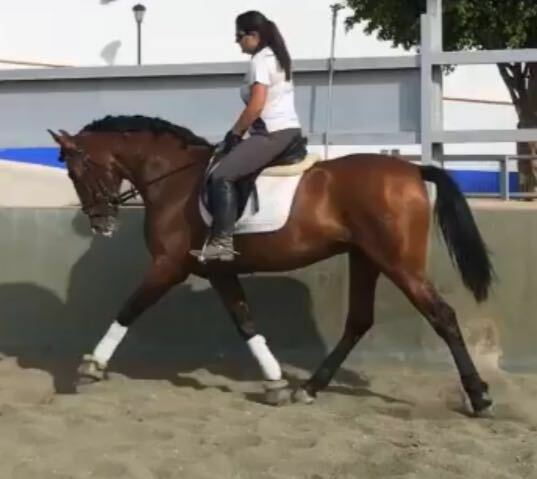 He has basic schooling in walk, trot and canter. 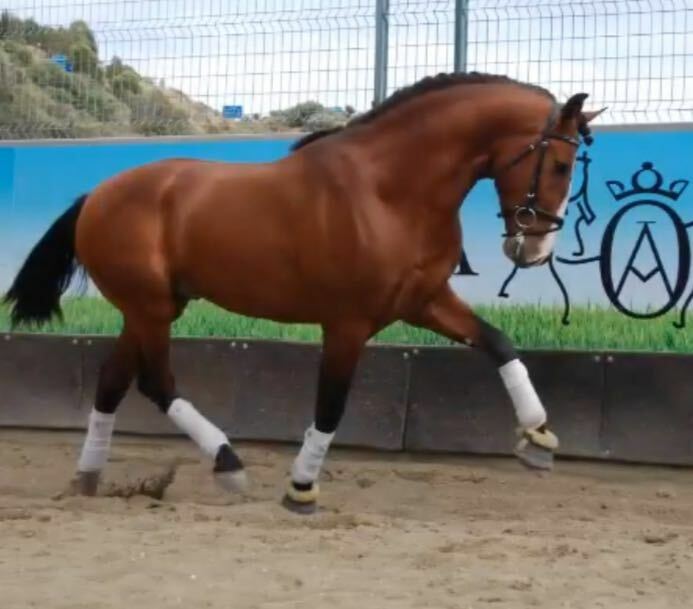 I see this horse as an interesting dressage prospect!